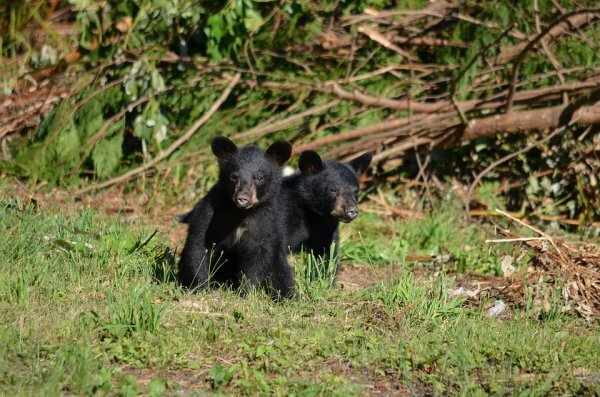 Two Alaska hunters will face jail time and other penalties after fatally shooting a denning black bear sow in front of her two “shrieking” cubs, and then shooting the newborns dead. Wasilla resident Andrew Renner was sentenced to five months in jail with two months suspended, a fine of $20,000 with $11,000 suspended and the forfeiture of his 22′ Sea Sport ocean boat and trailer, 2012 GMC Sierra pickup truck, two rifles, two handguns, two iPhones, and two sets of backcountry skis that were used in the offenses, according to a press release from Alaska’s Department of Law. His hunting license was revoked for 10 years. Owen Renner, Andrew’s son, was sentenced to suspended jail time, community service and will be required to take a hunters safety course. His hunting license was suspended for two years. The men will also have to pay $1,800 in restitution, the amount set by statute for killing black bears. The defendants were sentenced Tuesday at the Anchorage District Court. The prosecutor, Assistant Attorney General Aaron Peterson, told the court that this was “the most egregious bear cub poaching case his office has ever seen” and urged the court to impose a sentence to dissuade others from committing similar offenses in the future. The Renners made headlines in August after they were charged with several felony and misdemeanor crimes for shooting and killing the mother bear and the two newborns in April on an island in Prince William Sound. They tried to cover up their actions but did not realize the bears were part of an observation program by the U.S. Forest Service and the Alaska Department of Fish and Game. The den was monitored by motion-activated camera, meaning the slayings were caught on video and audio. The younger Renner can even be heard saying, “they’ll never be able to link it to us,” according to court documents obtained by KTVA. According to Alaska’s Department of Law, the recordings show the Renners skiing to a remote den. Owen Renner fires at least two shots at the denning sow. Not long after the fatal shots, the newborn cubs start “shrieking” and the elder Renner fires several shots, killing the young bears. The men then butchered the mother’s body, placed it in game bags and skied away. Both father and son pleaded guilty in November to charges related to the incident.
? Micro-Plastics Found In Human Feces For The First Time Ever Scientists From MIT Used Laser Beams To Transmit Direct Audio Messages To A Person ?